Conductor Melinda O'Neal has been praised for her "lucid and musical understanding of the score", "moving and satisfying interpretations" and her "stylish and clear manner on the podium" by Hugh Macdonald, Berlioz scholar and music critic. The 2012-2013 concert year marked her ninth season as artistic director & conductor of Handel Choir of Baltimore. Under O'Neal's leadership, Handel Choir became a newly reconfigured community oratorio ensemble of 45 voices presenting baroque and classic style works of Handel, Bach, Mozart and Haydn with period instrument orchestras as well as collaborating with colleague ensembles to perform music from the 19th-century to the present. O'Neal also teaches music theory and conducting courses at Dartmouth College where she has been professor of music since 1979. From 1979 to 2004 O'Neal was music director and conductor of the Handel Society of Dartmouth College, a student-community oratorio society performing choral and choral-orchestral works with guest vocal artists and professional Hanover Chamber Orchestra. Under O'Neal's 25-year leadership, the Handel Society performed two to three major choral-orchestral works each year, including Berlioz's Roméo et Juliette, John Adams' Harmonium, Vaughan Williams' Dona Nobis Pacem, Verdi's Requiem, Beethoven's Missa solemnis, Haydn's Harmoniemesse, and Bach's St. Matthew Passion, to name a few. The ensemble concertized in Austria, Germany and Canada, and performed the closing scene of Berlioz's L'enfance du Christ in Carnegie Hall. O'Neal's past projects include Handel Choir's recording of Handel's Alexander's Feast with the Bach Sinfonia (Washington DC) on Dorian, commissioning of Jonathan Leshnoff's Requiem for the Fallen, performance of Berlioz's rarely heard individual songs and choruses, and commission and premiere of The Staff of Aesculapius by Charles Dodge. O'Neal was conductor of Sonique, Boston Vocal Artists' ten-voice professional chamber ensemble, a visiting professor at Indiana University, University of Georgia and Towson University, and she was guest conductor-in-residence for the Seattle Symphony Chorale. O'Neal holds master's and doctoral degrees in choral-orchestral conducting from Indiana University in Bloomington and a bachelor's in music education from Florida State University in Tallahassee. She studied score preparation, choral literature and conducting with Julius Herford, Jan Harrington, Fiora Contino, Helmuth Rilling, Robert Shaw, Marcel Couraud, John Nelson and Thomas Dunn. Her research and performance interests include the relationship of text and music, historical performance practices, and the music of Hector Berlioz. She is a past national board member of the Conductors Guild and serves on the research and publications committee of the American Choral Directors Association. O'Neal's collaborative work has included conducting the New Hampshire Symphony Orchestra and Handel Society in performances of Poulenc's Gloria and Brahms' Schicksalslied and preparing the singers for Mahler's Symphony No. 2. As guest conductor-in-residence for the Seattle Symphony Orchestra Chorale in 1995, O'Neal prepared Berlioz's La damnation de Faust for Gerard Schwarz. 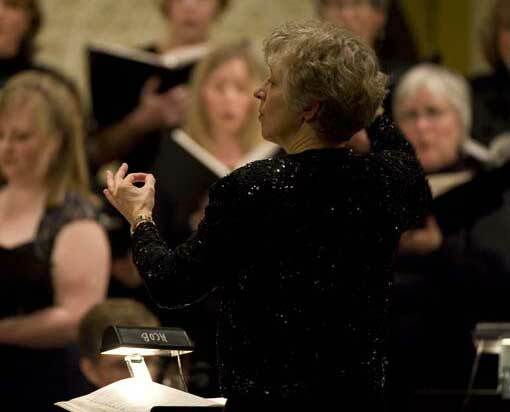 While chorus master for the New Hampshire Symphony Orchestra, O'Neal prepared the singers for Berlioz's Requiem, Verdi's Requiem and Beethoven's Symphony No. 9. Of the Verdi Requiem performance, Richard Dyer of the Boston Globe wrote, "The chorus master Melinda O'Neal had trained them to sing everything musically ... there was none of the fancy murmuring and false theatrics that disfigure so many performances of this genuinely dramatic music. Everything they did was clean and honest." Of Monadnock Music's performance of Gluck's Orphée et Eurydice, Richard Binder wrote, "The 12-member chorus, prepared by Melinda O'Neal, was divine. Singing stylishly and with a superb balance both internally and in relation to the [solo] singers, they were one of the evening's highlights." Dedicated to teaching and nurturing young singers, O'Neal conducted the all-undergraduate Dartmouth College Chamber Singers for seventeen years. This 32-voice ensemble presented an annual Feast of Song renaissance music-drama banquet and inaugurated a series of collaborations with the period instrument orchestra Arcadia Players (Amherst, MA), performing vocal-instrumental works by Purcell, Bach, Mozart, Haydn and Handel. Chamber Singers concertized on tour in England, Spain, Germany/Austria as well as the United States' east coast and midwest, and they regularly premièred works by Dartmouth faculty and students as part of the music department's New Music Festival. In Hanover, O'Neal also founded and conducted the professional twelve-voice Groupe Vocale de St. Denis (Hanover, NH) which performed for evensong services and commissioned Musica Dei Optimum by Dartmouth music faculty member Charles Dodge. O'Neal was also co-founder and conductor of Sonique, Boston Vocal Artists' ten-voice professional chamber ensemble, 2003-2005. Throughout her conducting career, O'Neal has been an active and devoted teacher. Since 1979 O'Neal has advised and mentored countless Dartmouth College students enrolled in music courses (on campus and in London for the department's study term abroad), independent private conducting students and members of performing ensembles. Many alumni/ae continue a life-long involvement in music, and some have pursued graduate music studies at institutions including Royal Academy of Music (UK), Royal College of Music (UK), Columbia University, Indiana University, Eastman School of Music, University of Illinois, Peabody Institute, Florida State University and Boston University, to name a few. While visiting professor and conductor at Indiana University (Fall semester, 1999), O'Neal conducted the Contemporary Vocal Ensemble, taught and advised graduate conducting students. As a visiting professor for the 1996-7 academic year at University of Georgia-Athens, O'Neal taught conducting at the doctoral, masters and undergraduate programs; she also conducted the Concert Choir, University Chorus and Camerata. From 1987-90 O'Neal founded, administered and taught in the Dartmouth Conducting Institute, a summer workshop for professional conductors which she founded. In 2002, O'Neal brought her versatility and knowledge of vocal repertoire to Boston Vocal Artists' Sonique, a 10-voice professional ensemble performing solo and ensemble vocal chamber music composed from the 19th century to the present. Her work was in collaboration with vocal coach and pianist Steven Morris. Concerts with Sonique included new compositions by Christian Wolff, Charles Dodge, John D. McDonald and Ileana Perez Velazquez, and a selection of music based on folksong and myth by Ravel, Britten and Brahms. Concerts in 2003 and 2004 focused on music by Hector Berlioz and 20th-century British and American music. O'Neal's continuing research and performance interests include the relationship of text and music, historical performance practices, and the music of Hector Berlioz. 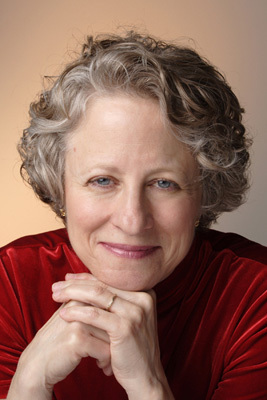 O'Neal presents lectures and workshop demonstrations on Berlioz's vocal music, and she is currently writing a guide for study and performance of this repertoire. Her articles on Mozart, Berlioz and performance practices may be located in the Choral Journal, Journal of the Conductors Guild, and Becoming the Complete Conductor (ECS Publishing). All programs of the Handel Choir of Baltimore are made possible by support from the Baltimore Office of Promotion and the Arts, the Baltimore County Commission on Arts and Sciences and the Maryland State Arts Council, an agency funded by the State of Maryland and the National Endowment for the Arts.